Willard R. Centerwall, MD – The Source of Bengal Cats & so many other good things for humanity. 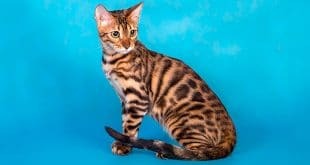 Millwood Praline, Millwood Pennybank and Millwood Rorshack are the 3 first generation hybrid females that nearly all 250,000 registered Bengal Cats on the planet descend and they were all bred by Willard Centerwall, MD at his Loma Linda University Lab. Dr. Centerwall created and left a legacy of investigation, generosity, collaboration and discovery to the world. Bengal Cats have a rightful mention in the distinguished biography of this man. 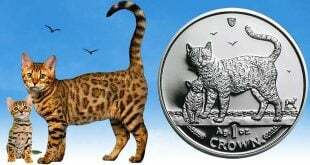 In 1980, Jean Mill didn’t own a leopard cat when she revisited the idea of creating a domestic cat that looked like a leopard she’d abandoned after being the first American to cross a domestic cat with an Asian Leopard Cat Prionailurus bengalensis in 1963. 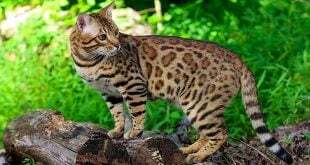 The enacting of the Endangered Species Act in 1973 and placement of the Asian Leopard Cat on US Fish & Wildlife list of Endangered Species on June 14, 1976 put an end to the unregulated importation of Leopard Cats and other wildlife into the United States. The public attitude toward nature and wildlife were changing, making the desire for living with a pet leopard no less existent with wider recognition that such a situation was not ideal for the wild animal and likely the neighbors. Dr. Willard Centerwall was known to Jean Mill and others with an interest in the intersection of cats, Asian Leopard Cats and science because of an article he’d written that was initially published in the December 1974 issue of Cats Magazine, “The Truth About Hybrids” and a copy was shared with her in Nov. 1981. 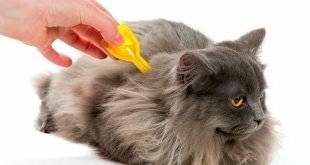 In the article, Dr. Centerwall explains in great detail the nature of the research for which the feline hybrid program was initiated and the nature of the animals themselves. Already Dr. Centerwall was attempting to explain to the public the distinction between the reality and the fanciful tales being sold in the classified section of that very magazine. 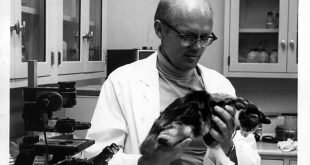 The medical, veterinary and academic communities were familiar with Dr. Centerwall for the significant contributions he’d made to science by that point. At the articles publication he had been professor of pediatrics in the school of medicine as well as professor of maternal and child health in the school of health in addition to an instructor of anthropology at Loma Linda University for more than a decade. Dr. Centerwall was director of genetics, birth defect and chromosome services for the university. In 1960 Dr. Centerwall published one of the first tests to detect inherited disorders in children, a condition known as phenylketonuria. There are dozens of peer reviewed journal articles for which WR Centerwall and his wife Seigfried Centerwall, MD are authors or investigators. 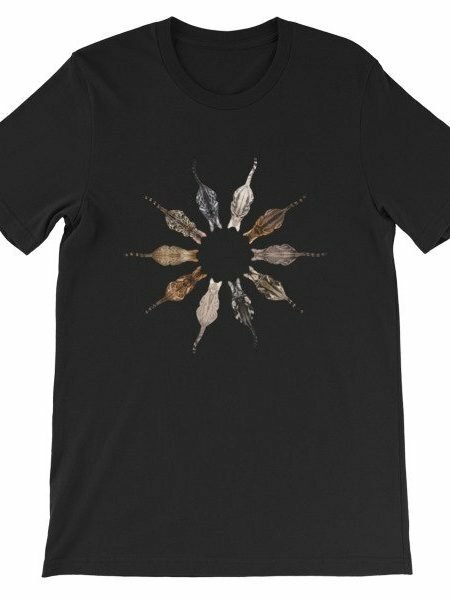 For the feline inclined, it was Dr. Centerwall who published the chromosome analysis of the Rusty Spotted Cat (Prionailurus rubiginosa) in 1983 and the Flat-headed Cat (Prionailurus planiceps) in 1977. 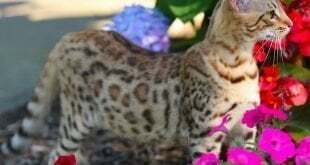 By the time “The Truth About Hybrids” was published, Asian Leopard Cat hybrids were not exceedingly rare. After Jean Mill’s successful cross in 1963 and its reporting by photo and article to other enthusiasts through the Long Island Ocelot Club newsletter, Leopard Cat Society (later renamed Leopard Cat Information Center) newsletter and Cornell University others crossed Asian Leopard Cat and domestic cats. These cats were primarily novelties, not meant to be part of a larger program, rather unique individual animals. 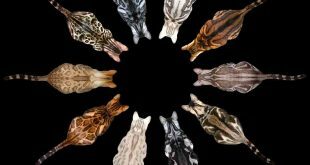 By 1970 there were enough hybrids being bred that one woman devoted to Asian Leopard Cats as a species, Virginia English implored other exotic feline enthusiasts to resist the creation of hybrids in a letter to the editor of the Long Island Ocelot Club newsletter. 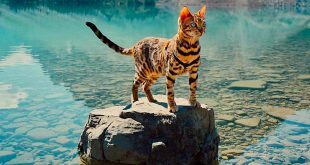 Ms. English had requested the ability to register Asian Leopard Cats with the Cat Fancier’s Association, CFA, in order to maintain a registry of pure Asian Leopard Cats and their ancestry within the United States. Dr. Centerwall initiated his program in 1971. The program was receiving notice in the media within several years. 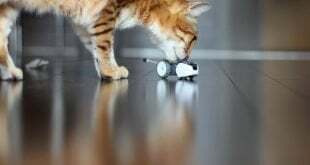 In April of 1973 the Los Angeles Times featured an article about Dr. Centerwall’s interesting cat project the Associated Press sent a camera crew to film and interview Dr. Centerwall, his lab and the cats. 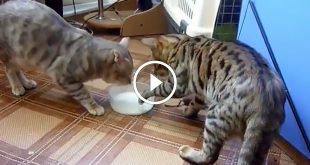 This two minute video is the very best remaining imagery we have of the Asian Leopard Cats, domestics and F1 hybrids that contributed to the modern Bengal Cat breed. Throughout 1973 a photo and some version of the article appeared in newspapers throughout the United States. The article includes Dr. Centerwall insights on the long term potential of the program as well as a charming photo of an F1 Asian Leopard Cat X Domestic Cat kitten with the kitten’s likely mother. 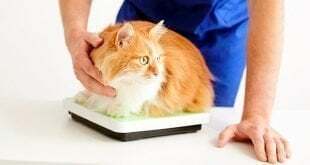 By the end of the 1970s for a variety of reasons Dr. Centerwall’s cat project came to an end. 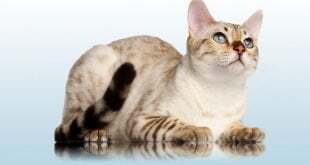 Utilizing some of the research conducted by Dr. Centerwall, an article was published in the journal Science in 1975 demonstrating the domestic cat and it’s close relatives possessed gene sequences required for the replication of the Feline Leukemia gamma retrovirus but were absent in more distantly related species, like the Asian Leopard Cat. 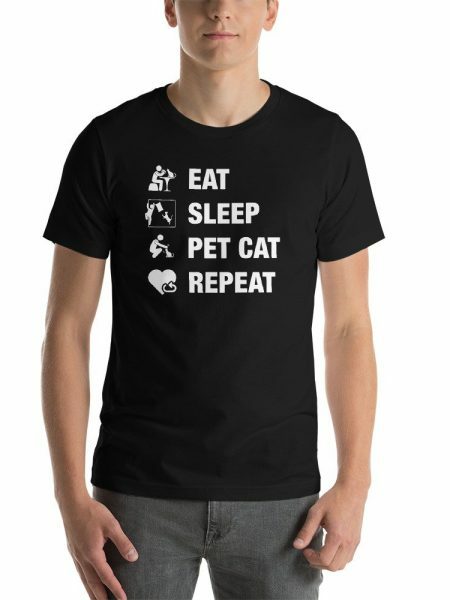 It was during this time of other life changes that Dr. Centerwall kept a very select group of the cats himself while others were placed with knowledgeable owners. Fortune intervened when Jean Mill was referred to Dr. Centerwall by the California Fish & Game Department. 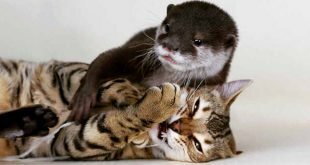 Jean Mill was seeking to acquaint herself with the myriad new regulations for the ownership of an Asian Leopard Cat that had come to pass since the sixties. 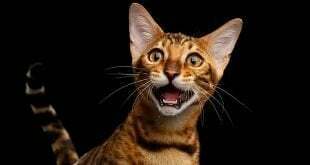 Jean had also placed ads in the Los Angeles Times and Cats Magazine classified section seeking existing hybrids from the breeding programs of others who had advertised them in both publications. Dr. Centerwall was trying to help find homes for cats owned by a man who had several of his hybrids but was now deathly ill. 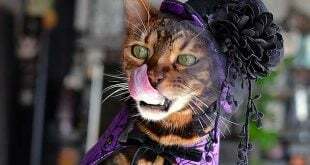 The man was Gordon Meredith, a highly regarded Hollywood animal trainer, that provided sanctuary for some of the cats when original owners tired of their litter box habits or retiring nature. Dr. Centerwall and Gordon Meredith provided Jean with a half dozen cats first generation females ranging from six to eight years old. 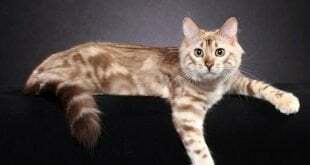 The cats ranged from various shades of brown spotted tabby to brown spotted torbie but mostly white, christened Bustterscotch Sunday by Jean. Among Millwood Rorshack, Millwood Praline was an eight year old female named Favie short for “Favorite”. Favie was among the most beautiful of F1s ever produced in Dr. Centerwall’s program. Jean registered “Favie” as Millwood Pennybank. Millwood Pennybank was a free gift entrusted to Jean from Dr. Centerwall in hopes that her project and his would be successful. 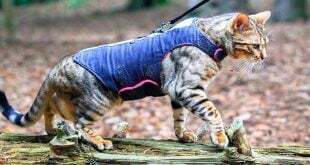 While not more than a penny was invested in her purchase, the cat held a lifetime’s home for something special the world could share in a domestic cat that looked like a leopard. 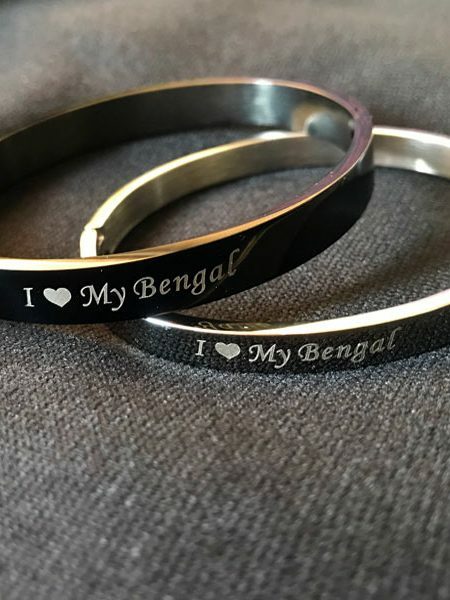 On a cool spring morning in 1998 I woke up in the guest bedroom of the residence Jean Mill called home and Millwood in Covina, CA but I referred to as “Bengal Mecca”. Jean mentioned when she picked me up at Ontario airport that she had a guest coming over for breakfast and I might want to get my video camera ready. A bespectacled older man with an easy smile and smart glasses shook my hand as he introduced himself as “Bill Centerwall”. I was awed by the effortless wisdom that wafted through the air as he and Jean discussed global politics, scientific advances and cats. It was a very special thrill when a comment on an instagram photo of my cat Jungletax Justified Prestige remarked on the beautiful progress of the breed by a gentleman named Edwin Centerwall, MD of Loma Linda University. Prestige and nearly every other Bengal Cat can trace their lineage, like Edwin Centerwall to Dr. Willard Centerwall. For more than 25 years Bengal Cats have played a central role in Anthony Hutcherson's life. 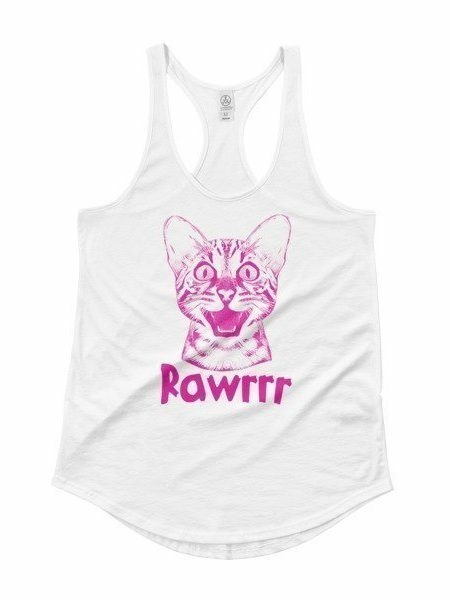 A passion for the Bengal Cats, the wild felines that inspired the breed as well as all cats continue to motivate his hobby. 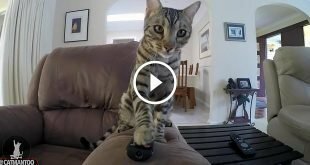 As Jungletrax Bengals, he bred and owns the highest scoring and most winning Bengal Cat ever. 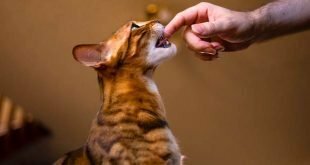 Anthony has been President of The International Bengal Cat Society is currently Chairperson of TICA's Bengal Cat Breed Committee and a Director on the Boards of TICA and WINN Feline Foundation. Previous A Spotted Cat or a Striped Dog? Wonderful article Anthony! 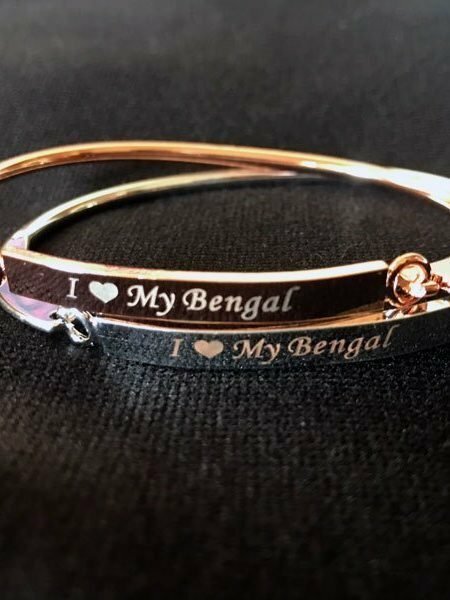 We owe so much to Dr. Centerwall, Jean Mills and YOU for the creation and vision of the Bengal, and for sharing this amazing breed with us! 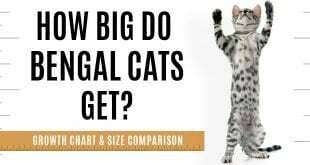 This is wonderful reading…some things I already knew having owned and bred Bengals since 1998…..some things I didnt know. Thank you Anthony for publishing this article.